ZipZap, based in San Francisco, is a bitcoin services startup operation. On February 6th, an announcement was made about launching cash-for-bitcoin services at 28,000 retail locations in the United Kingdom. Spar and Tesco Express, the widespread convenience stores are included in this effort. Recently, it was announced by overstock.com and tigerdirect.com that it will be accepting payments made in bitcoin. To expand its horizons, ZipZap has also joined in. Buyers have to connect to a ZipZap account to their bitcoin wallet to buy bitcoins. After printing or loading a scan-able barconde on to their smartphone, they can take it to a ZipZap affiliated location. From there, a clerk will scan their barcode and accept their cash payment. Through one of ZipZap’s partner bitcoin exchanges, bitcoins arrive in the users’ wallet within minutes. Currently, there is an additional fee for the service pricing at about $6.50 with a $500 worth of bitcoin purchased. In a way, ZipZap is looking to become the counterpart of big money transfer systems like Western Union and Moneygram. Safahi comments “You help the poor get out of poverty by reducing their remittance cost.” More than a half a trillion dollars are annually transferred and the average fees are 9% and peaks at 25% or more. Manuel Orozco is a senior member specializing in remittances at the Inter-American Dialogue and he says the opposite. “I know every single location where you can pay in Africa, and that’s nonsense. The cost of sending money to Africa is about 6%,” he said. Fees are higher through Western Union. The fee of sending $300 to Algeria from New York is $20, plus there is more than 3% exchange rate taken by Western Union. This adds up to about 10% in fees. Josh Strauss, Portfolio Manager of the Appleseed Fund who is an advocate of Western Union, says “regulatory compliance is spiking… Compliance will squeeze [Western Union’s] 2014 profits by something like 8%.” Orozco and others use Anti Money Laundering (AML) and Know Your Customer (KYC) regulations as a huge part of stating that the cost of transferring payments is irreducible. Hence, Strauss states that once bitcoin becomes regulated and has to meet the same standards as other money transfer services, they too will have to deal with regulation fees. 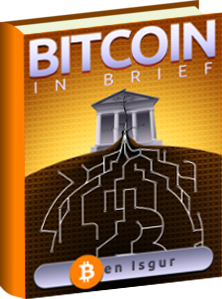 As a result, there will be no difference between using bitcoin or traditional money. ZipZap is already in the market applying these procedures and all of its transactions meet the U.K guidelines and regulations. “Don’t let people fool you that this thing costs a lot of money,” says Safahi. “It’s just smoke and mirrors.” Oddly enough, the Internation Monetary Fund agrees with Safahi. They said in a report that “lack of transparency” is a key reason for high money transfer costs globally. ZipZap hope to offer withdrawal fees similar to those for deposits making the fee at around 3%. Safahi expects that his services will more than likely operate on a “freemium” model. Meaning “where you provide free service to anyone anywhere who wants to buy and sell bitcoin, and you sell additional services that people are willing to pay for,” he says.